The Lotus Formula 1 driver will be the star guest at the ‘Race of Stars’ event organised by Russian magazine Za Rulem. “No doubt it is a unique opportunity for all Kimi’s Russian fans to see him in the flesh in Moscow and on the race track in action earlier than 2014, when the Russian Grand Prix in Sochi will take place,” said Bendikova. Caterham F1 driver Charles Pic will also take part, alongside Russia’s leading motorsport stars, including F1 man Vitaly Petrov, World Rally Championship frontrunner Evgeny Novikov and Red Bull protege Daniil Kvyat. 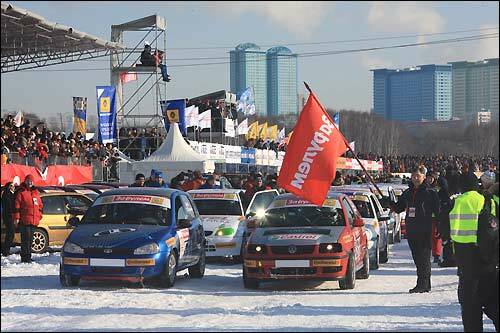 Does anyone know whether the Moscow Ice Race is going to be televised? I’d love to see it. And good luck to KR as well!